Getting to know your family tree is often a driving factor for those who travel to Europe and, in particular, to Ireland. Tracing your roots in the country is a common tradition and there are many resources available to visitors who are seeking to spell out the answers to their heritage. For the many people who are visiting Ireland to trace their ancestral roots, there is no better way to do it than with the assistance of a genealogy butler. 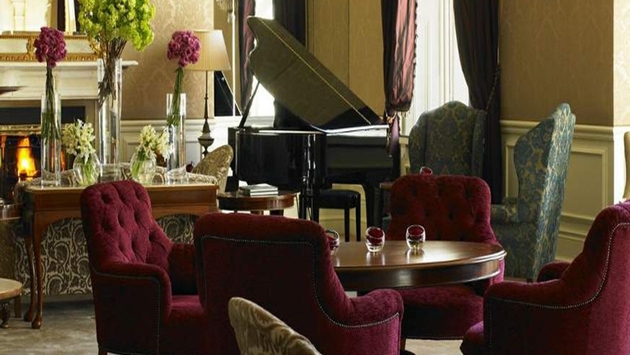 At Dublin’s Shelbourne hotel, which overlooks St. Stephen’s Green in the heart of the city, the services of an accredited genealogist are at the ready to help guests unravel their hidden pasts. The genealogy butler is aimed at assisting guests with uncovering their Irish records and following in the footsteps of their family tree. Since so many people come to Ireland to trace their roots, the genealogy butler can help narrow down the vast wealth of information available for each individual and point them in the right direction and increase the oddes that they will be able to uncover their personal family history. Guests can engage in a personalized consultation with the genealogy butler with refreshments in the Lord Mayor’s Lounge of the hotel. Based on an online submission of ancestry, the genealogy butler will prepare a personalized assessment of a guest’s Irish heritage and put together a research program that each guest can follow to find their roots in Ireland. There are a couple different options for guests — depeneding on how deep a dive into their heritage they want to take. A one-hour meeting with the genealogy butler can help guests narrow down their ancestry and put together a list of the most comprehensive sources for guests to research while they are touring the country. There is also the option to take a one-day guided genealogical tour. The genealogy butler will guide individuals or small groups through the ins and outs of their research, which includes Dublin’s vast genealogical repositories such as the National Library of Ireland, the National Archives, the Valuation Office, the Registry of Deeds and more. There are also longer sessions that can be created for families with deep roots in the country.